Anyone who looks beyond the surface of Callaway Golf Co.’s agreement to acquire Jack Wolfskin for $476 million will see that reducing it to the simplistic “golf company buys outdoor brand” doesn’t capture the depth of the deal. The acquisition makes sense on multiple levels for both companies amid the blurring of channels, product lines and even consumer habits. Let’s first tee up Callaway’s reasoning for the deal. Bringing Jack Wolfskin into its portfolio will complement the company’s “growing apparel and soft goods businesses across geographies, customer demographics and product capabilities,” according to CEO Chip Brewer. In essence, the acquisition fits Callaway’s increasingly bullish view and growing emphasis on the outdoor and active lifestyle industries. As for Jack Wolfskin, the German-based company can more easily establish and grow a presence in the U.S. The company exhibited at Outdoor Retailer Summer Market last July in Denver, CO, where it hoped to reintroduce itself to specialty retail buyers in North America and make a stateside splash. Teaming up with a billion-dollar, publicly traded company like Callaway gives Jack Wolfskin the resources and access to markets it needs to flourish here. That point was echoed by Jack Wolfskin CEO Melody Harris-Jensbach in the companies’ initial press release on the deal. 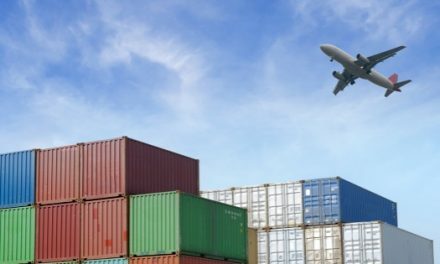 Pund, who called the acquisition “a match made in heaven” because of the benefits each company will reap, noted that Houlihan Lokey’s knowledge of both companies and their synergies runs deep. The company had advised Callaway on two previous acquisitions—Ogio and TravisMathew—and knew the company was an active acquirer looking to go above and beyond the golf market into the faster growing outdoor and apparel space. Houlihan Lokey also had advised Jack Wolfskin through its restructuring and bankruptcy. In the process the firm gained a sense of what it took to get Jack Wolfskin back into growth mode. More than anything, the move signals that Callaway has its sights squarely on the outdoor industry, which Pund said is shifting thanks to the evolving outdoor consumer. The deal especially makes sense geographically because it gives Callaway access to Europe and Asia, two markets where the company was lacking. 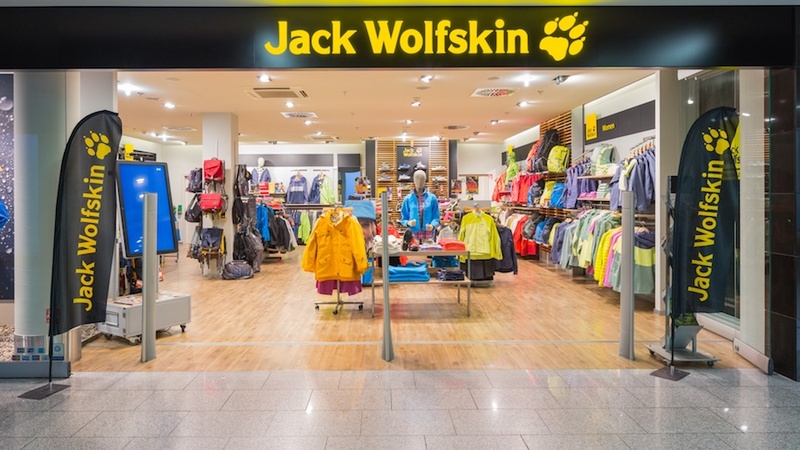 Jack Wolfskin generates $380 million in revenue, and approximately $40 million in adjusted EBITDA, with 52 percent of the revenue coming from the DACH (Germany, Austria and Switzerland) region and 21 percent coming from China. While the companies were in talks for the last five months, according to Brewer, the roots of the deal date back to 2017 when Callaway made a couple of acquisitions that set the stage for this one. Before Callaway was able to fully pursue a deal of this size and scope, executives needed to show investors and shareholders that they could be successful with M&A, so they started small, Pund said. Bags and backpacks company Ogio, which became a part of Callaway in early 2017, spoke with SGB at Outdoor Retailer Winter Market (before news of this latest deal were publicly known) about the advantages of being part of larger portfolio of brands. Even if the companies differ in product offering, they are able to share resources, ideas and much more. Nathan Adelman, senior marketing manager for Ogio and formerly a marketing executive for Callaway, said the collective power of individual brands under the financial backing of a strong owner is able to elevate each one of them. One question that is sure to arise post-acquisition is how Callaway will position its channel strategy with this new outdoor brand asset. Pund said the company plans to take a “slow and methodical” approach when looking at which products belong in which channels, but product and channel crossover is nothing new in the outdoor world, as evidenced by core outdoor brands being sold in such channels as Big Box or Farm & Ranch. Brewer said the channel strategy is still being discussed, but that the number and diversity of doors that Callaway is in, plus the obvious targets for Jack Wolfskin product on the outdoor specialty side, will make for some interesting possibilities. Callaway shares were down 77 cents, or 4.4 percent at market close Tuesday (there was no trading Wednesday), though that dip has likely more to do with soft golf numbers such as declining rounds played. Meanwhile, analysts were upbeat on Callaway’s outdoor play. Though surprised, they believe Callaway and Jack Wolfskin will be mutually beneficial for one another in today’s marketplace. Look for much more on this acquisition in SGB Executive, including comments from Jack Wolfskin once the deal is closed and color from brand representatives at Outdoor Retailer Snow Show in January.